Tent City. Located just South of the DMZ. 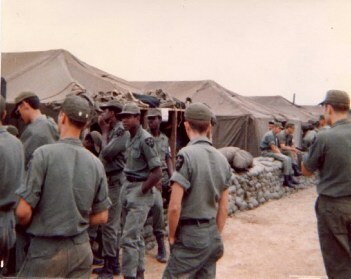 Most days and nights were spent on DMZ patrol and repairing the sand bag walls. Although, we did have some great football games there to.